On May 3, 2018, GGE Founder and Executive Director Joanne Smith was honored as a “Woman of Vision” by the Ms. Foundation at the 30th Annual Gloria Awards. Awardees include filmmaker Ava DuVernay, Shannan Reaze of Atlanta Jobs With Justice, Monica Simpson of SisterSong, and Elaine Welteroth, formerly of Teen Vogue. In March 2018, GGE earned a Commendation from the City of New York Comptroller Scott Stringer for our leadership in the New York City Young Women’s Initiative. The critical work of Make the Road New York and the Dominican Women’s Development Center was also recognized. In March 2018, Joanne Smith was named a “Local Woman Leading Change” by FPWA. She accepted her award alongside the National Co-Chairs of the Women’s March Bob Bland, Tamika Mallory, Carmen Perez, and Linda Sarsour, the founders of Higher Heights for America Glynda Carr and Kimberly Peeler-Allen, and US Senator Kirsten Gillibrand. On Saturday, March 21, 2015, Joanne Smith was honored by Haitian Round Table 1804. At the Haitian American Changemakers Recognition Ceremony and Event, she was joined by Domestic Violence Commissioner Rosemonde Pierre-Louis, Roxanne Gay and more in New York City. On July 19th, 2013, Joanne Smith received the Steinem-Waters Legacy award at the Generation 2 Generation Awards. The awards featured Keynote speaker Jessica Valenti, founder of the popular blog Feministing.com and Emcee Jamia Wilson, media activist, organizer, and storyteller. The Generation 2 Generation Celebration is an intergenerational event held annually in Washington, DC honoring young people and their mentors who are doing cutting edge work to advance a sexual health, reproductive rights and social justice agenda in their community. The event honored award winners and brought together 200 people from across the country, including student leaders from 28 campuses and movement leaders from the social justice sector to celebrate collective victories and the fight for reproductive justice. 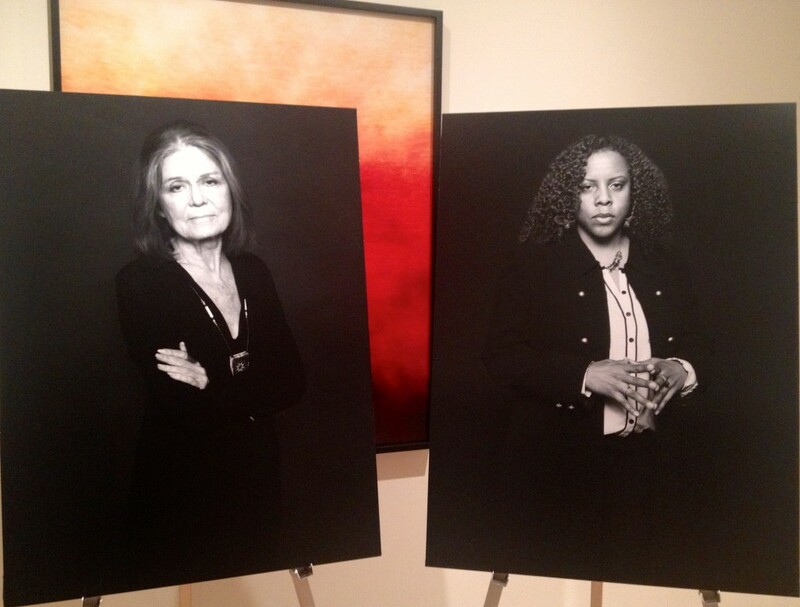 On May 23, 2013 Joanne Smith joined Gloria Steinem, Dorchen Leidholdt, Jimmie Briggs, Ted Bunch and many more as NY’s new abolitionists. When people think of abolitionist leaders in New York State, 19th century icons like Frederick Douglass, Harriet Tubman and Elizabeth Cady Stanton come to mind. But New York state has a new generation of 21st century abolitionists- women and men committed to ending human trafficking- here in New York and everywhere. Sanctuary for Families has led the charge in celebrating New York’s leadership in the fight to end human trafficking. Community Organizer Nefertiti Martin and Youth Organizer Emily Carpenter made it to the 4th annual Grio Top 100 African American History Makers list in 2013. They were on the same list as actress Kerry Washington, Olympic gold medalist Gabrielle Douglas, Oscar Nominee Quvenzhané Wallis, former top model and founder of Black Girls Rock Inc., Beverly Bond, Grammy Award winning hip-hop producer, Swizz Beats and many more! Find out why they were chosen! 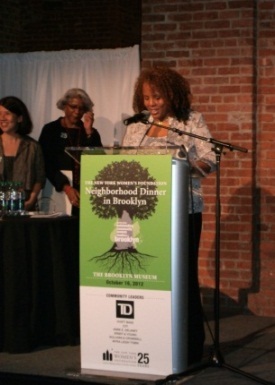 On October 16, 2012 The New York Women’s Foundation (NYWF) awarded Joanne Smith, GGE’s Founder & Executive Director, a Neighborhood Leadership Award. NYWF has been a historic funding partner to Girls for Gender Equity. GGE was honored to accept the award on behalf of the many organizations in Brooklyn doing phenomenal work with women and girls. View pictures and Like NYWF on FB here! “As a woman who has benefited from others believing in and supporting my leadership, I believe that leadership is about doing the best you can with what you have, at the opportunity provided – it’s about showing up, even when it’s hard – and at times, it’s about having blind faith in your purpose,” said Joanne in accepting her award. 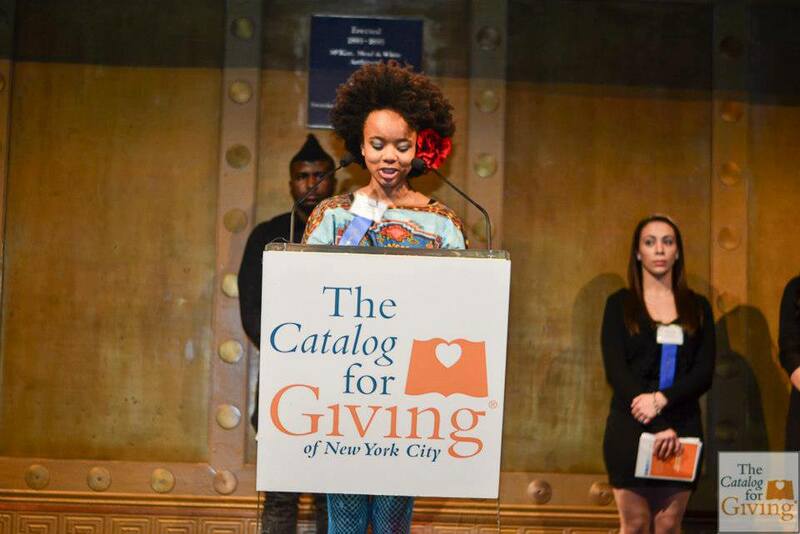 In 2012, GGE’s founder was named a young leader by the French American Foundation. 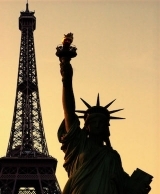 The French American Foundation’s Young Leaders Program selects up-and-coming change-makers in government, business, media, military, culture and the non-profit sector and provides them with the opportunity to spend five days together discussing policy and social issues. These open discussions have been very successful in facilitating the development of a new network of transatlantic leaders. Some past Young Leaders include former President Bill Clinton, Secretary of State Hillary Clinton, Senators Evan Bayh and Bill Bradley, General Wesley Clark and former White House Chief of Staff Joshua Bolten. GGE Founder and Executive Director, Joanne Smith is a part of this group of up-and-coming leaders! 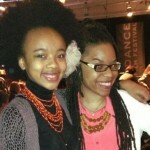 Read more about her experience as a 2012 Young Leader! On November 5th, 2012, GGE Youth Organizer Emily Carpenter was honored at the 17th Annual Urban Heroes Awards Benefit. The Catalog for Giving of New York City hosted their 17th Annual Urban Heroes Awards Benefit at Pier Sixty in Chelsea Piers. 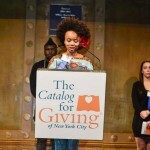 The Catalog’s annual event highlights the achievements of one youth member from each of their twelve member organizations who have demonstrated dedication and commitment to serve as role models in their communities. 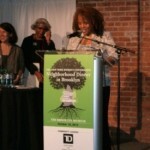 GGE’s Youth Organizer, Emily Carpenter, was chosen to be honored at the event as an Urban Hero!